Ahhh, Dordogne on a spring morning, and Bruno Courrèges, Chief of Police in the picturesque village of St. Denis, is trying to teach his basset hound puppy that the chickens and ducks on his modest farm are neither food nor toys. While Balzac may be the most intelligent dog Bruno has ever known and can already sniff out truffles, his prey-seeking behavior still needs a lot of work. Bruno's morning is interrupted by a phone call from Father Sentout, who has spent the night at the bedside of a dying man, a hero of the Resistance. 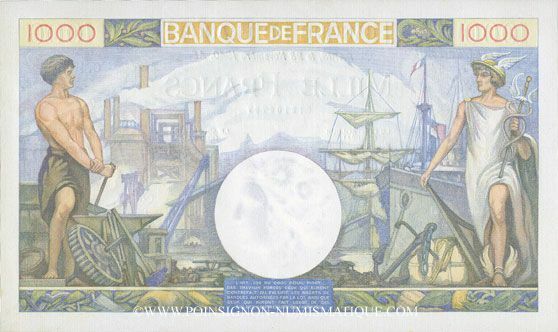 Loic Murcoing had died clutching a beautiful antique banknote. Bruno has never seen its like, but the priest immediately recognized it as one from the daring train robbery at nearby Neuvic during World War II, when the men of the Resistance relieved their German occupiers of hundreds of millions of francs. To this day, it remains the greatest unsolved train robbery in history. "No plaque recalls that right here, on July 26 1944, about 100 Resistance men pulled off the train heist of the 20th century, bagging the equivalent of £230 million [about $750 million in today's money] ... The train was ambushed at Neuvic at 7.38pm. By 8.15, two trucks carrying 150 sacks of money were making for a Resistance HQ in the forest near Cendrieux, 30 miles away. Official reports claimed the money was used legitimately. Historians and locals know better. Perhaps £50 million, perhaps more, evaporated. Political parties took handfuls and so did individuals." While Bruno is making arrangements for the appropriate funeral of a Resistance hero, he is notified of the break-in and theft of many valuable antiques in the chateau of a retired Englishman. This is the third such crime this month, but so far the police have no clue to the obviously professional criminals. This time, though, they have misjudged their target. Jack Crimson, the owner, is only recently retired from one of Her British Majesty's secret services. When another Englishman, an international antiques dealer, is found dead with his head battered almost beyond recognition, Bruno calls in the Police Nationale in the persons of Isabelle, Bruno's onetime lover, and her boss, J. J. Things are a little awkward for Bruno when Pamela, his current lover, returns from Scotland to find that Isabelle has returned, even temporarily. While most of the Bruno mysteries include obscure bits of history and current politics, this one has a larger than usual and slightly bewildering number of characters and sub-plots. Bruno solves his current crimes and a long-ago one handily, but the true mystery of the train robbery and the missing millions remains, hélas, unsolved. Of at least equal importance to the crimes and their resolutions in this series are the author's exquisite descriptions of the food and the meals, the quirky cantankerous residents and the evocative scents of fine cheeses and flowers that infuse all of these books. They keep me first in line, thrilled to read each new one as it comes out and sorry to have it end. It is a perfect way to enjoy a wonderful imaginary vacation in this seemingly endless winter as snow and sleet storms chase each other across the country. Note: I received a free review copy of The Resistance Man, which will be released by Knopf on February 25, 2014. Wow what a way to enter spring! A new Bruno. I'll look for it next week. I don't mind the deaths I think I read Bruno for the description of small town / region. I imagine the town folks being extended - broadened by the expats and the visitors that live among them. Then of course there is the food. I could gain weight there. Great link and selection of pictures.